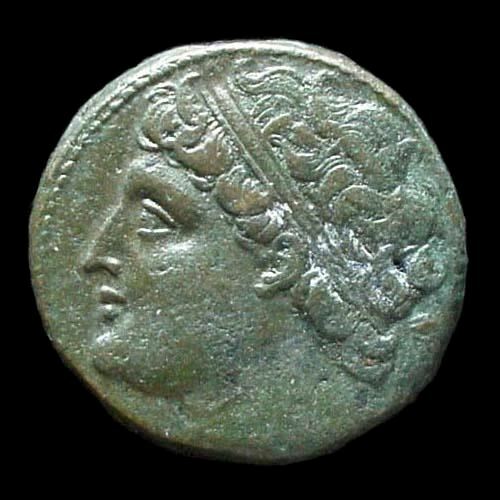 Hieron II was the Tyrant of Syracuse from 270 to 215 BC, and claimed descent from Gelon. He was a former general of Pyrrhus of Epirus and an important figure of the First Punic War. He rose to power on the departure of Pyrrhus from Sicily (275 BC), where the Syracusan army and citizens appointed him commander of the troops. In 263 he concluded a treaty with Rome, by which he was to rule over the south-east of Sicily and the eastern coast as far as Tauromenium. He remained loyal to the Romans, and frequently assisted them with men and provisions during the Punic war.